Oral squamous cell carcinoma (OSCC) characterized with invasive growth, local metastasis and later stage diagnosis was a common malignancy in head and neck region. 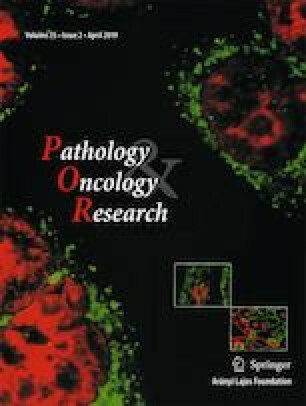 The aim of this study was to explore the relationship between miR-182-5p and OSCC, which will contribute to find potential biomarker for OSCC metastasis. MiR-182-5p expression level was detected by the quantitative real-time PCR (qRT-PCR). Cell migration and invasion ability were examined by scratch and transwell assay. Loss-of function together with luciferase reporter assay were used to verify the miR-182-5p modulated OSCC cells migration and metastasis was mediated by MTSS1. The expression of MTSS1 protein was examined by western blotting. MiR-182-5p up-regulated in OSCC, was involved in the migration and invasion of OSCC and the increased miR-182-5p expression was correlated with lower OSCC differentiation grade, higher T and N stage. Bioinformatics analysis predicted MTSS1 gene was a potential target of miR-182-5p. Following co-transfection, qRT-PCR, luciferase activities assay and western blotting confirmed that MTSS1 gene was a direct target of miR-182-5p and silence of MTSS1 could reverse the effects of miR-182-5p on OSCC migration and invasion. MiR-182-5p was up-regulated in OSCC and the ability of miR-182-5p to promote MTSS1 repression may precipitate in the OSCC through bypassing cell migration and invasion control. This work was supported by the National Nature Science Foundation of China (81301834). YG, XQ, LZ and RS carried out the in vitro studies and performed the statistical analysis. YG and XQ conceived of the study and draft the manuscript. All authors read and approved the final manuscript. This study has been carried out with the approval of the Ethics Committees of School of Stomatology. All procedures performed in studies involving human participants were in accordance with the ethical standards of the institutional and/or national research committee and with the 1964 Helsinki declaration and its later amendments or comparable ethical standards.